Schooling of your horses and ponies is now available in a relaxed competitive, professional environment. I currently am competing in Prelim Eventing with my ex 3* Eventer, 'Mitavite Maybe' and moving up to Pre-novice Level the next competition. 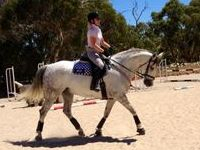 I regularly attend dressage & show jumping clubs, training days and clinics. I have a calm, patient, enthusiastic and encouraging approach to my educating and teaching. 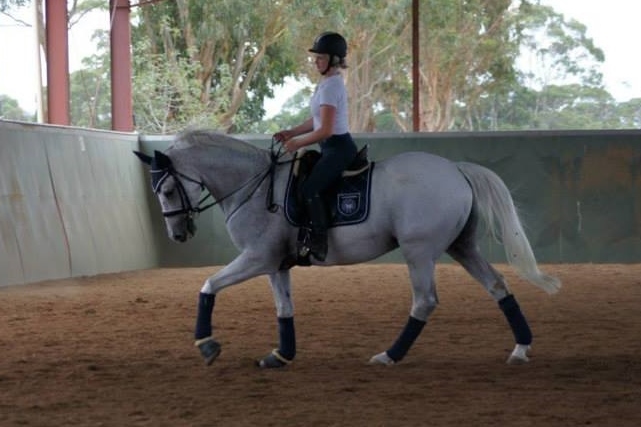 I have a real passion to see horses and riders improve their skills by the end of each lesson/training sessions. We are now offering lessons and training for riders. I Currently instruct at Westwood Park Riding School and now offering lessons privately to riders with their own horses. I have previously Worked for David and Amanda Shootbridge from Revelwood Stud & multi gold medalist Gillian Rowlton aquiring some great knowledge From one of the best in Australia. Eventing with my well known horse Mitavite Maybe a previous 3* Eventer. I have a fun, enthusiastic and encouraging approach to my teaching. With a real passion to see riders improve their skills by the end of each lesson. Travel fees may apply out of a 30km radius of Aldinga Beach, SA.